Michael Hager is a novelist, screenwriter, playwright and songwriter. After graduating from the University of California, Michael immediately immersed himself in writing and publishing poetry and songs. He has over thirty songs to his credit and has won recognition for his prose. 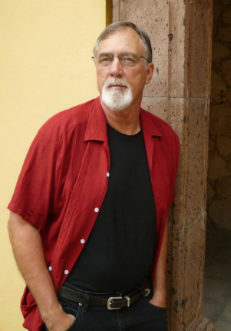 After moving to Mexico 2001, Michael took on the job as Managing Editor one of the largest English newspapers in Mexico, where he continued to hone his skills as a novelist and screenwriter. His theatrical play, The Last Ride, was produced in 2008 and received rave reviews from sold out audiences and critics alike. His first novel Just Beyond the Edge was released in 2011. As part of his continuing commitment to the craft of writing, Michael has just completed and published a poetry anthology, A Reckoning of the Heart, of previously published and new work. He is currently in the process of putting the finishing touches on a collection of short stories that should be available in 2018. Having recently found a passion for writing film and TV scripts he has completed a film script A Settling of Scores which has been a finalist in several film festivals and more recently completed a limited series, No Retreat, which was a 2017 Semi-Finalist in Series Fest Featuring Women’s Initiative.